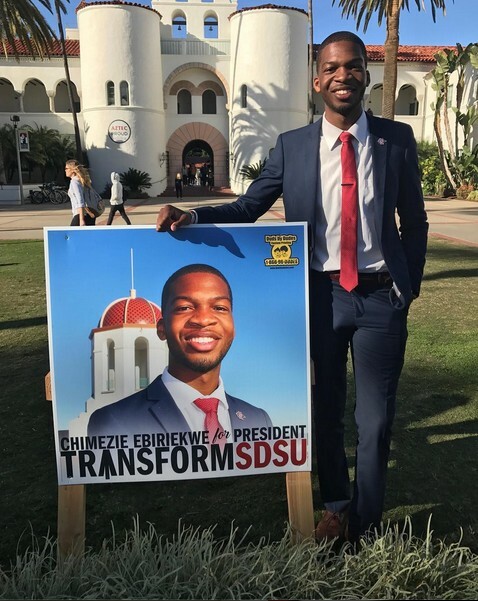 A Nigerian boy from Imo state, Chimezie Ebiriekwe is currently making waves in students' politics in the United States. 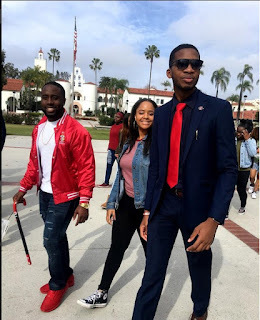 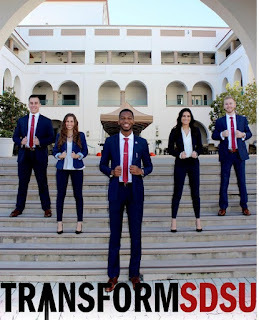 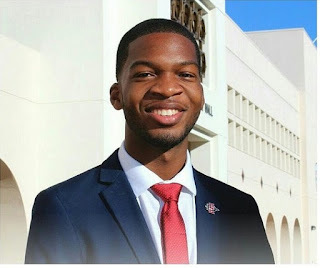 The young man who recently won the Associated Students presidential election (like Students Union Government SUG in Nigerian Universities) at San Diego State University -beat his opponents by a large margin as he received 3,454 votes while his opponent Ben Delbick got 1,189, Chloe Sension received 1,014 and Kaitlyn Hart received 94. Congratulations to him..
0 on: "Meet The Nigerian Guy Who Won SUG Presidential Election In A US University "